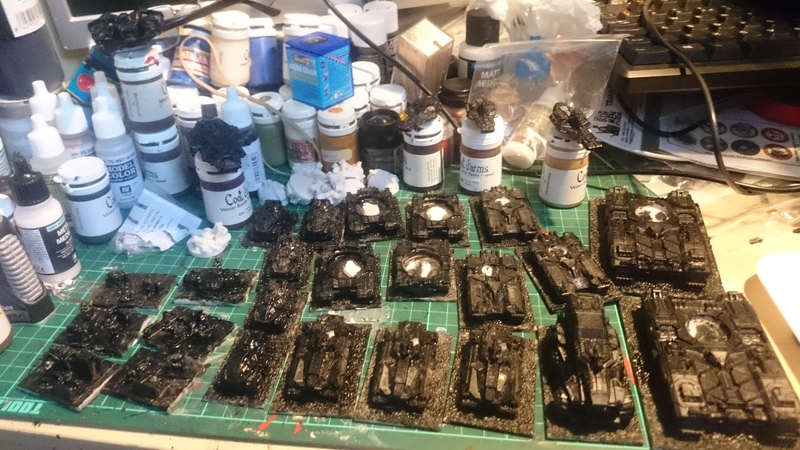 Call me fickle, but I’ve got another army on the painting table at the moment. I haven’t forgotten the Normans (or the 6mm French for that matter!) but I quite fancy getting my Planetfall army ready for battle, so the first two Helix are primed and ready for painting – I’m looking forward to painting these.